Clean Lines Are Oddly Satisfying. Making Stuff Match Is Oddly Satisfying. 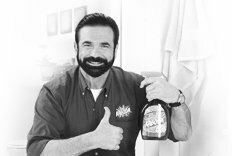 Please visit our tribute to a warm, caring, one-of-a-kind human being, perhaps the best pitchman ever.